Cybercrime is on the rise. Companies, large and small, are falling victim to a fully weaponized web that provides bad actors with simple tools to perform their dirty cyberdeeds. Thanks to the Internet’s inherent anonymity, widespread reach, and disjointed law enforcement status Cybercriminals have a lot to gain – and enterprises have a lot to lose. Cybercrime costs the global economy more than $445 billion a year, according to estimates from the Center for Strategic and International Studies. A 2015 Association for Financial Professionals Risk Survey found that 34% of companies had been subjected to a cyber attack in the last 18 months. Brink online publication posted an article written by Craig Martin, Executive Director Corporate Treasurers Council at Association for Financial Professionals that provides enterprises with a three-step approach to setting up a cyber security strategy. Read about their strategy here. Business Insider posted a 2015 Cybercrime Prediction article, written by Stuart Dredge at The Guardian. The article is a summary of what to look out for, based on predictions of companies including BitDefender, KPMG, AdaptiveMobile, Trend Micro, BAE Systems, WebSense, InfoSec Institute, Symantec, Kaspersky, Proofpoint, and Sophos. 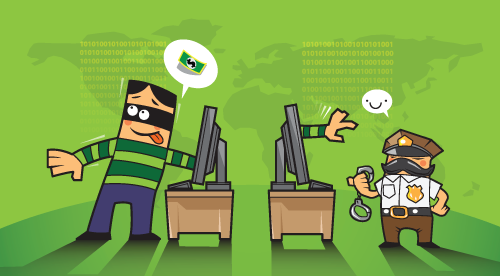 Read more about their 2015 cybercrime predictions here. Healthcare companies have had a rough start this year. Last month insurance giant Anthem experienced a hack with an estimated 80 million customers and employees affected. The latest cybercrime, this week Premera Blue Cross announced that they were the victim of a “sophisticated” cyber attack that may have exposed medial data and financial information of 11 million customers. The only bright spot is that cyber security stock is going up. If you are an executive or investor at one of these companies, you have nothing to lose, and everything to gain from fear of an attack. Also, if you own a credit monitoring or reporting company you’re looking pretty good this year.